How the US government trashed the diesel fuel cost advantage — 1389 Blog - Counterjihad! I’m no Jay Leno but I do know a thing or two about motor vehicles, and a thing or three about tyranny, of which I have made a lifelong object of study. You shouldn’t need me to tell you that anything that raises the costs of road transportation also hamstrings the US economy, makes ordinary Americans poorer, strangles our liberty, and helps our enemies who are burdened by no such constraints. I’ve owned both diesel and gasoline vehicles. Diesel was once the way to go when it came to saving money at the fuel pump. Diesel engines still outlast the gasoline variety and can deliver impressive power, but the US grabbermint deliberately wiped out the diesel fuel dollars-per-mile advantage. The last time people began to sweat the cost of gas, they were able to turn to diesels. The cars delivered tremendous mileage (e.g., a VW Rabbit diesel was capable of 50-plus MPG, as good or better than a new Prius hybrid) and – perhaps as important – the fuel itself was cheaper than gasoline. Diesel fuel became more expensive than gasoline – because of government edicts that made it more rather than less expensive to refine. Today’s “ultra-low sulfur” diesel runs close to $4 a gallon in my neck of the Woods vs. just over $3 for a gallon of regular unleaded. This cost-to-feed disparity takes a lot away from the economic argument in favor of buying a diesel-powered car. Especially given that modern diesel-powered cars – though excellent in many ways – are also a great deal less fuel-efficient than the diesel powered cars of the ’70s and ’80s (the era before government got around to hassling diesels to the extent that it had been hassling gas-powered cars). Engine design had to be altered; exhaust systems changed up. Almost all current-year diesel-powered passenger cars have particulate traps and “regeneration” (diesel fuel is injected into the exhaust to after-burn it for emissions control reasons; of course, fuel used to burn off soot is fuel not used to propel the car – and your mileage goes down). Most (virtually all) current-year diesel-powered passenger cars also require something called Diesel Exhaust Fluid (DEF) to achieve compliance with emissions regs. That is, to placate the government (at your expense). The DEF – basically, urea (that is, piss) – is contained in a separate tank that must be regularly topped off. The DEF works kind of like a gas engine’s catalytic converter, chemically altering the composition of the exhaust stream. Whether this is good or bad is ultimately neither here nor there as far as the consumer appeal of diesel-powered cars. Historically, the primary reason for going with a diesel rather than a gas-engined car (all else being equal) was the prospect that the diesel would – hopefully – save you money. Unfortunately, that’s less likely today than it was yesterday. Because of the higher cost of the fuel – and the lower fuel-efficiency of modern diesels. I recently reviewed the 2014 VW Jetta TDI (see here). For a modern car – relative to other modern cars – it delivers excellent fuel economy: 30 MPG in city driving and 42 MPG on the highway. But back in 1979, a VW Rabbit diesel delivered 45 MPG … in citydriving. And 57 on the highway. Now, granted, the ’79 Rabbit is (was) a smaller car than the ’14 Jetta. But the difference is startling nonetheless – because the Jetta has all the putative advantages of the intervening 40 years (almost) of technological advances. Shouldn’t it deliver better economy than a Carter-era car? If VW were not forced to festoon its brilliant TDI (turbo direct injection) diesel with all the foregoing folderol. If the federal obsession with soot – aka “particulate” emissions – were not so fervid. And here it is important to point out that diesel emissions aredifferent. Particulates may be obnoxious to some, but they are not a factor in the formation of smog – the main justification for swaddling gas engines with a Hannibal Lecter-esque suit of “controls” to tamp them down. Everything – like it or not – is ultimately a cost-benefit analysis. And frequently there is a conflict between one desired thing and another desired thing. In this case, the desire of the government to effectively curb tailpipe emissions of cars (both diesel and gas) to nil conflicts with the consumer’s desire for a fuel-efficient (to say nothing of affordable) vehicle. And this is why – for the most part (the Jetta I reviewed being one of literally two exceptions) the diesel-powered cars available today are almost all high-end/expensive cars. The diesel engines available in vehicles like the Mercedes E-Class and the BMW 3 and 5 are touted as much for their performance as their economy – and of course, the cars they’re installed in are sold on the basis of luxury and status. These are the sweeteners that make so-so-efficient modern diesels more palatable to buyers. But on the economy end of the scale, it is harder to make a sound case for a modern diesel-powered car. Even the thoroughly excellent Jetta TDI. It costs about $5k more than the base trim gas-engined Jetta. And then there’s the 50-75 cents more per gallon you pay at the pump. Sure, the TDI’s mileage is 10-plus MPG better than the gas-engined models. But $5k buys oceans of gas … and don’t forget the extra $8-10 or so more you’ll be paying at each fill-up, diesel vs. regular unleaded. The proverbial low-hanging fruit was plucked decades ago. That is, on the order of 90 percent of the harmful (e.g., smog forming, respiratory distress-inducing) byproducts of internal combustion were “controlled” by the first simple – but very effective – emissions technologies, such as catalytic converters (for gas-engined vehicles). Since the ’90s, the government’s increasingly demented crusade has been to “control” the remaining fractional part of a vehicle’s exhaust output that is less-than-pure. So, we end with pretty pricey diesels that are only so-so efficient – relative to what they should and easily could be. Governmental bodies and various private organizations harp endlessly on the dangers of, and legal penalties against, driving under the influence of ethyl alcohol. At the same time, the US government is doing all it can to force you to feed ethyl alcohol into your gasoline-powered engine! Problem is, ethyl alcohol damages equipment that is not purpose-built to use it as fuel. 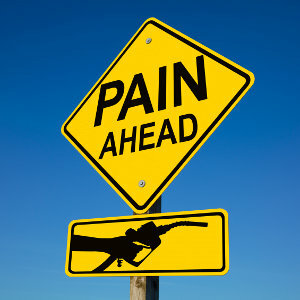 Gasoline adulterated with alcohol can destroy your car, your motorcycle, your aircraft, your boat, your power tools, your generator…you name it. Seems to me that this is a stealth method to force older vehicles and equipment into the junkyard. Arguably, “gasohol” harms the environment, in that the energy cost of producing the corn (maize), distilling ethyl alcohol from it, and transporting it to the pump, exceeds its yield as a vehicular energy source. Corn is food. It is especially suited as fuel for people and animals, not machines. It makes economic sense to use corn as animal feed and to consume corn directly as sweet corn, hominy grits, cornbread, tortillas, popcorn, you name it. Burning corn, or for that matter, any food, as substandard vehicle fuel raises food prices worldwide, making people go hungry who otherwise would not. Next post: How much of your brain do you actually use?